If the details in that document are accurate, the Google tablet will be positioned to compete squarely with Amazon's Kindle Fire. According to Gizmodo, Nexus 7 will be a 7-inch tablet with low-end pricing--$199 for an 8GB version and $249 for a 16GB version. However, other sources report more aggressive pricing, such as $159 or $177. By comparison, an 8GB Kindle Fire costs $199. Though that tablet was a hot item during last winter's holiday season, its popularity has been waning. A new version of the slate has been rumored for months, but nothing has appeared on the horizon yet. If a new model is introduced, pricing on the old model could sink to $149. Nexus 7, which appears to be similar to a tablet displayed by Asus at this year's CES, will reportedly also have a 7-inch display with a slightly higher resolution than Fire's--1280 by 800 compared to the Amazon product's 1024 by 600. 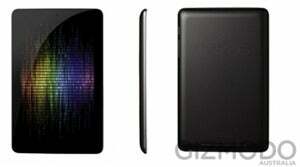 At the heart of Nexus 7, Gizmodo reported, will be an Nvidia Quad Core Tegra 3 processor running at 1.3GHz. It will also have a GeForce 12-core graphics processor. In addition, it will carry the latest version of the Android operating system, "Jellybean" 4.1. The leaked document also says that Google will be responsible for all future operating updates for the device. In its agreements with phone handset makers, the OEMs are responsible for updates, not Google, which has been a source of problems for the entire ecosystem. Nexus 7 will also supposedly have 9 hours of battery life, a front-facing 1.2-megapixel camera, 1GB of RAM, and support for NFC for Google Wallet and Android Beam. Google's decision to make a play for the low end of the tablet market could be a good one. According to one report, it expects to ship 3 million units by the end of the year. If it announces its slate this week, it will beat Amazon's upgrade to Kindle Fire to market, and it won't be encroaching on Apple's turf nor providing potential competition to Microsoft's new Surface tablet line. 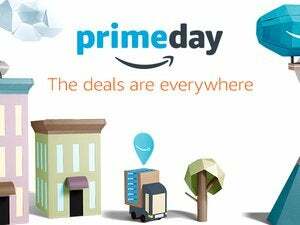 In addition, it will enter a segment of the market where buyers are hungry for an all-purpose, low-priced tablet--and their hunger, as Amazon discovered during the last holiday season, can generate high-volume sales.